Create your own custom keepsake christening / baptism pin. Select a charm from our charms category and have us add your charm. Or if you prefer - purchase the pin portion only then add your own charm once your pin has been delivered. Also available in 14K yellow gold, 14K white gold, and 14K yellow gold-filled. 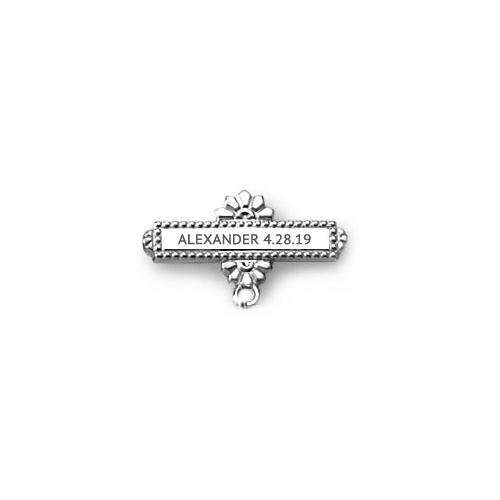 Christening / baptismal pin portion only - does not include charm. Charm may be purchased for an additional charge. Engravable pin is tiny - perfect for baby. 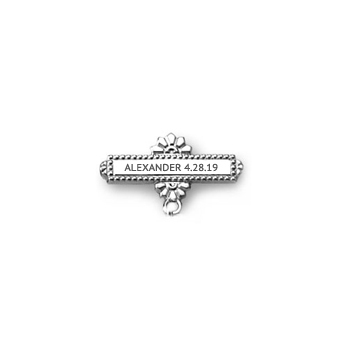 Charms with a width and height smaller than 0.50 inches look optimal on this tiny christening pin.